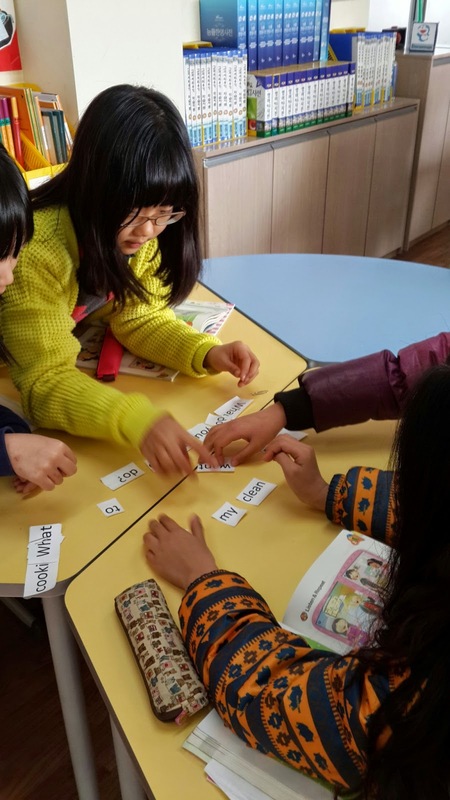 ESL Games - Sentence and Dialogue Structure : Speaking, Reading and Writing. We are learning the word "want" and revising activities and verbs in my current grade 5 unit "What do you want to do?" Most of the vocabulary is already known but the word want and sentence structure is a little shaky. 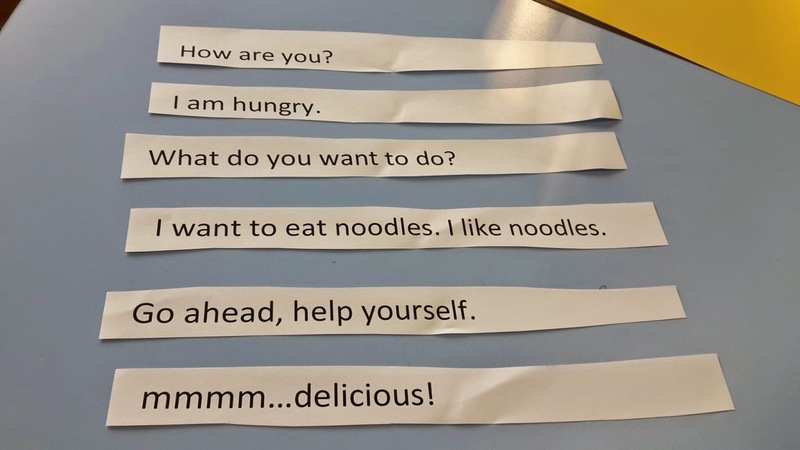 So I thought a few sentence structure games would be an appropriate part 2 of the unit. 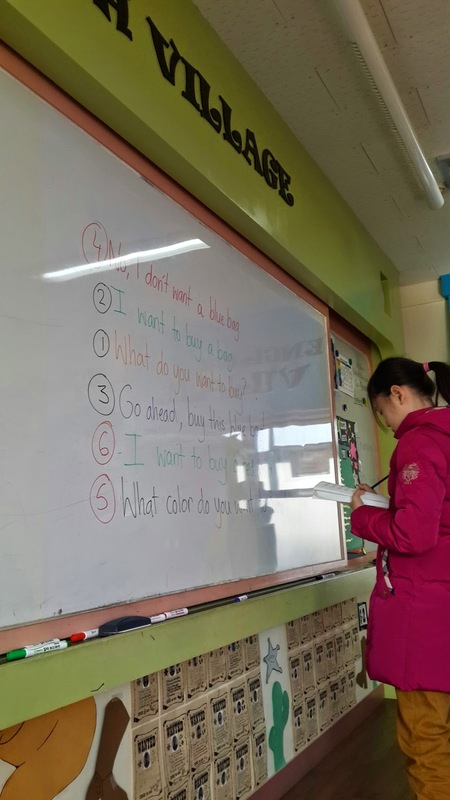 Also, I noticed that in the Korean English exams they usually have a question that requires students to order a sentence or dialogue, so this is some good exam prep. These are simple to prepare but a bit of time required. 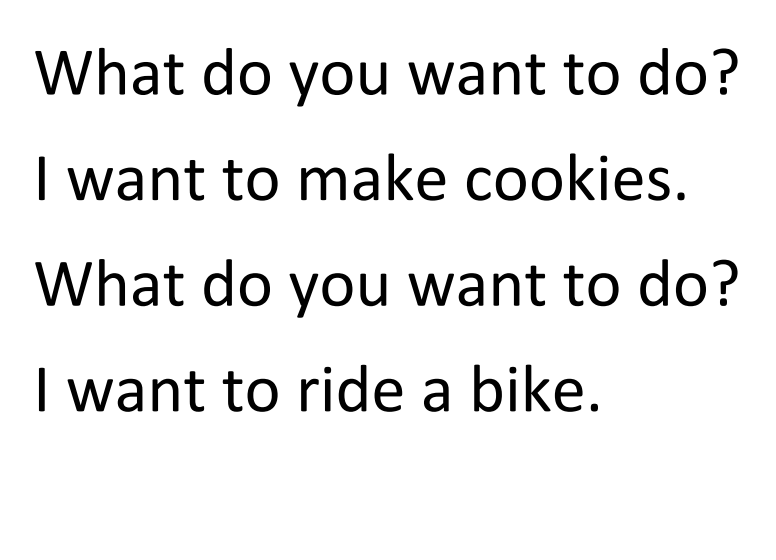 I simply wrote out a bunch of sentences answering the question "What do you want to do?" For example: Download Here. After typing these up I printed and cut the question and answers into individual words and then pinned a question & answer pair together. So I had about 10 bundles in total. 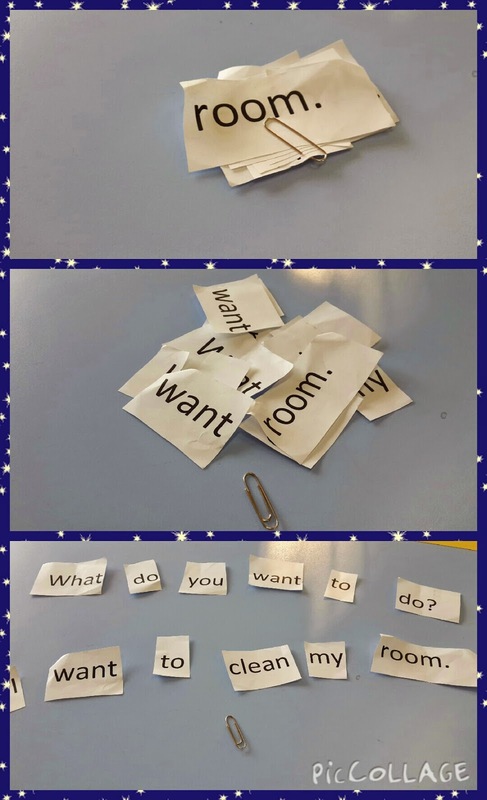 In class I got the kids into groups and gave them a bundle each and said "when I say go, you open it up and make the two sentences, when you finish, hands on heads!" Once I said go they quickly started ordering the words into the correct sentences. Then after that we did another round , new bundles. I gave 10 points to the group who could order their sentences 1st, 5 points to 2nd and 1 point to third. 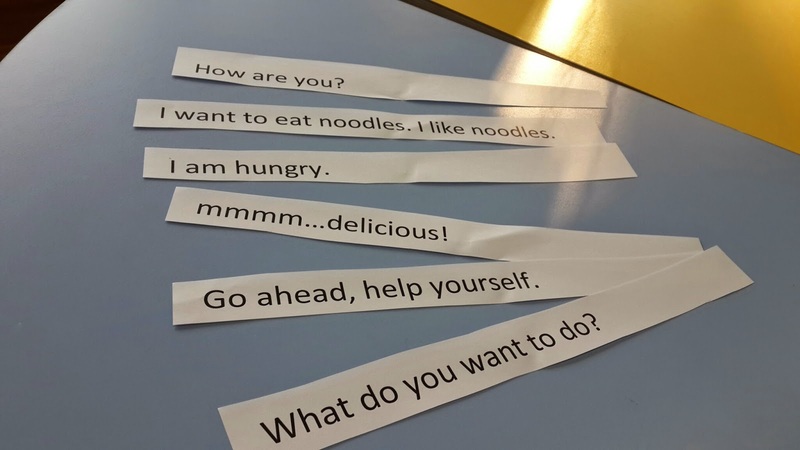 Next we did the same activity but this time, instead of words they were given whole sentences that made up a dialogue/conversation. 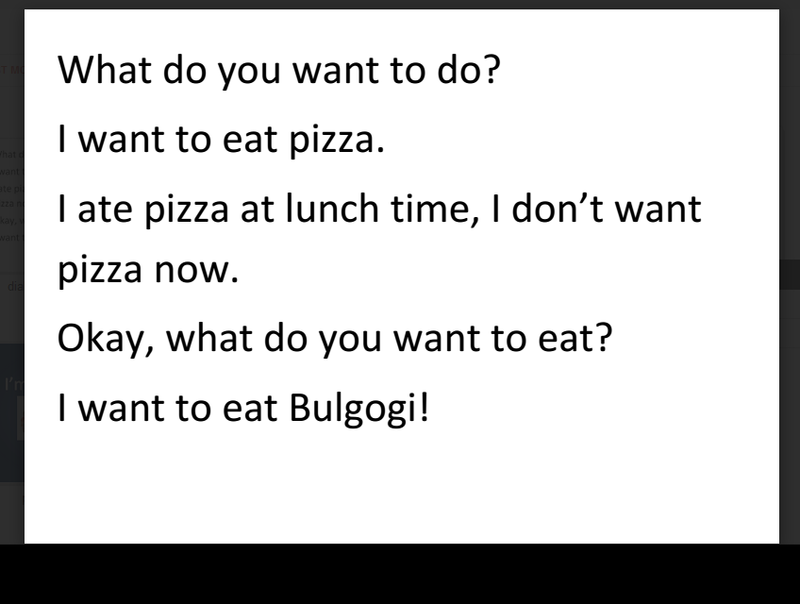 Again, themed on the "What do you want to do?" lesson. So we played the same style game, giving points to the groups who could do it the fastest, correctly. After each round I got the groups to read their sentences. We went around the room, making sure each group read aloud. Lastly, I wrote another jumbled dialogue on the board and got them to write the dialogue in the correct order in their notebooks. Then when they finished I would check if they got it correct. I rewarded first, second and third with a candy. Here's a student checking her work after being given the answer key. This lesson was very simple and concentrated on sentence structure and comprehension. In my next lesson I do a lot more on speaking. 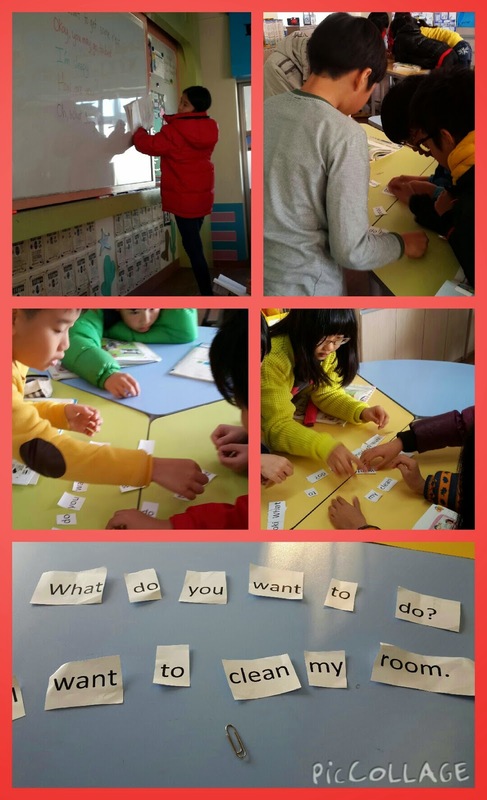 I found that the repetitiveness of this lesson helped them in the next lesson to say correctly "I want to do ...." as they often forget "to" or "do" . This can be applied to any unit, it's easy and the kids enjoy the competition part. I will definitely do this again!